We all want to write a book, that's why we feed the passion inside of us. But, how many of you have started writing a book, then put it away and started another and then another? 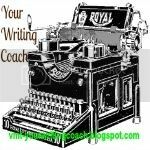 Many writers have a "stop, start, stop, start" mentality about their writing. Every time an idea about another book comes into their head, they stop the book they are currently writing and start on the new idea. Then, another idea sweeps into their mind, so they stop their current book again, and start on another new book, again. That type of writing can be exhausting and infuriating. 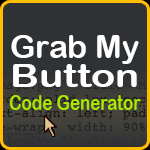 I can tell you how I handle the numerous ideas that flit in and out of my head every day. Whether they be dreams, articles, words, newspaper articles, overhead conversations (yes, we all do it) or that "must write" book of your passion. I keep binders with plastic inserts so I can put the things that inspire me about a topic or idea. I write a few words or a sentence or two to help me remember why I was so inspired and put that in with the other items. Then, I close the binder and go back to the current book I'm writing. How many binders do I currently have on my shelf? Four 4-inch binders. Packed so full, they are overflowing. I get a lot of ideas. So, now that I went off on that little tangent, let's get back to first drafts. Be truthful, how many first drafts of articles, blog posts, or books do you have cluttering up your desk, computer, head? 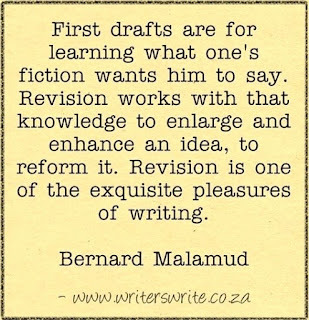 Bernard Malamud gives us a great quote about the purpose of first drafts. 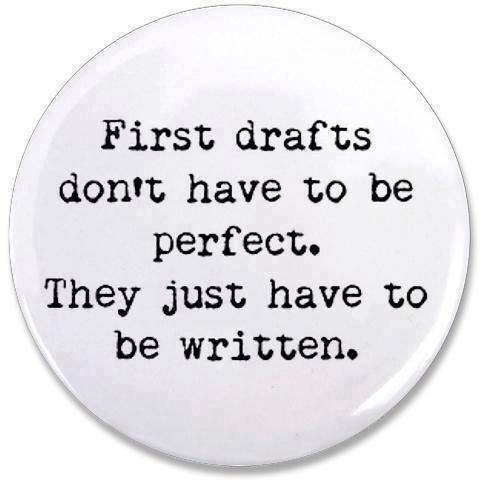 Do you consider this true about your first drafts? 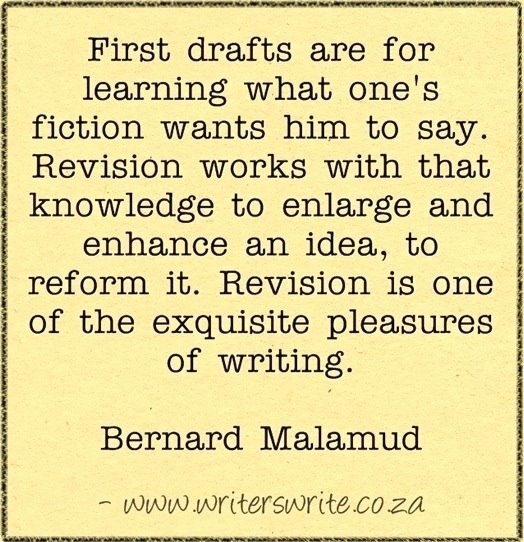 Do you treat your first draft as something that must be written and finished, editing comes later? If you edit as you write, will you ever truly finish your book? They expect their editing to make their writing perfect. They think they are the only writers who can truly appreciate their words and the only ones who can edit appropriately. 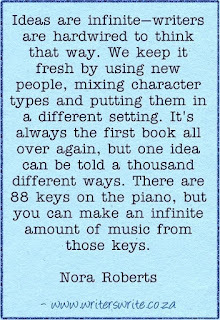 Editing is "rewriting" and for some writers that could mean a whole "new" book! BuzzFeed posted a great article of 27 famous writers giving writing/editing advice. 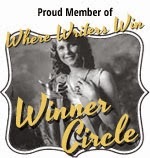 Celebrated authors, editors and illustrators write advice to young writers on their hands for “Shared Worlds,” a two-week creative writing summer camp at Wofford College. The article is unusual because each author wrote their advice on their hand. 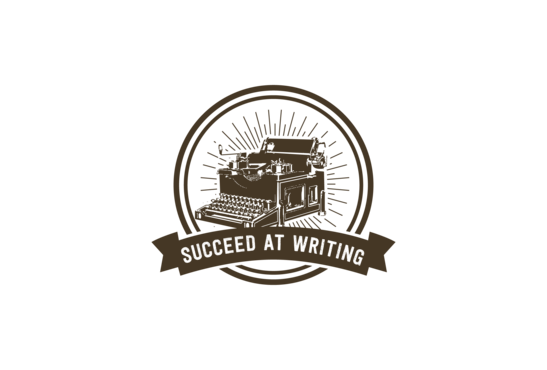 Another blog post I found extremely helpful comes from YA Science Fiction author, Beth Revis. 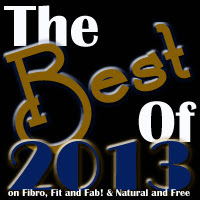 I like her website and blog so much, I'm adding it to my Recommended Links. 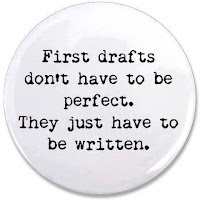 This button image gives you the greatest advice about First Drafts. 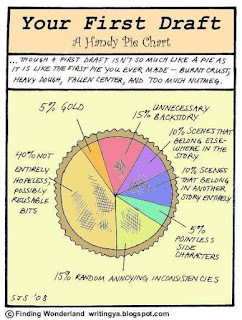 Important tip to know: A book cannot be properly edited until the first draft is written. 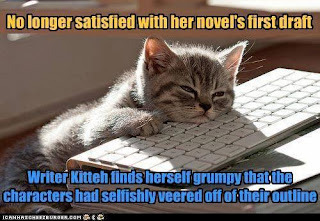 I know that there are a lot of authors/writers out there who will disagree with me, as they write and edit as they go. 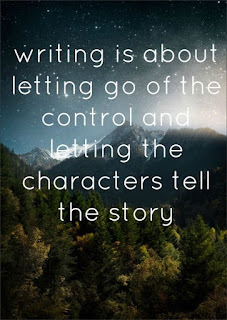 But, honestly, can you really focus on the story you are writing and making sure there is consistent continuity if you are always changing something? 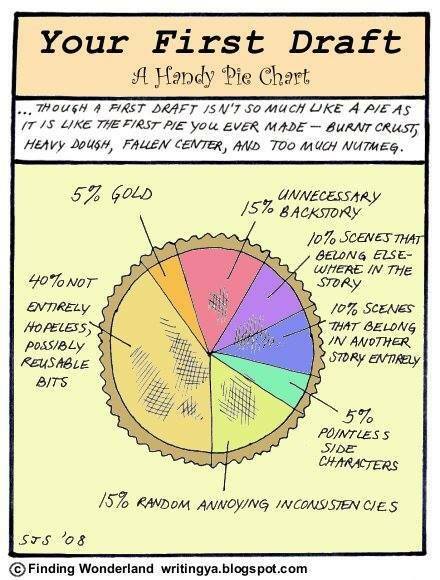 Writing and editing is a slippery slope. 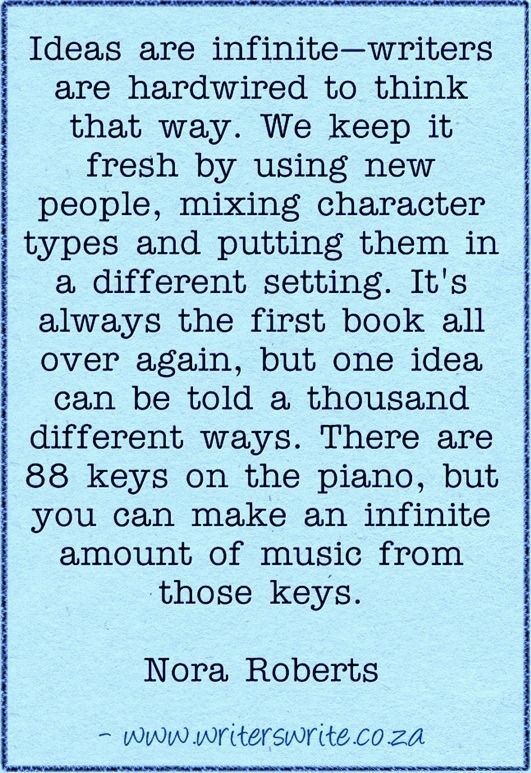 Your characters are already trying to write the story the way they think it should be written. If you aren't paying attention, they will run off and either change the outline of the book, or disappear all together. They may even band together and attempt to fight you. Yes, I do believe my characters have life. My characters talk to me all the time. 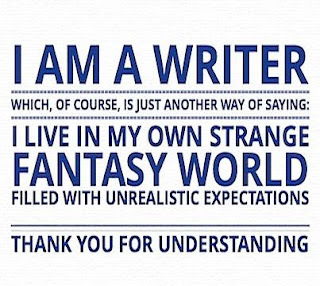 While I'm writing, after I've written, and before I've started the next book. Get to know your characters. Inside and out. 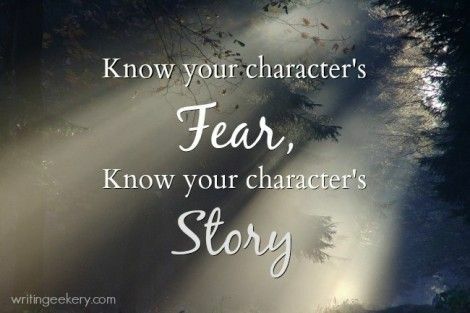 Once you know them intimately, you'll be able to write their story. 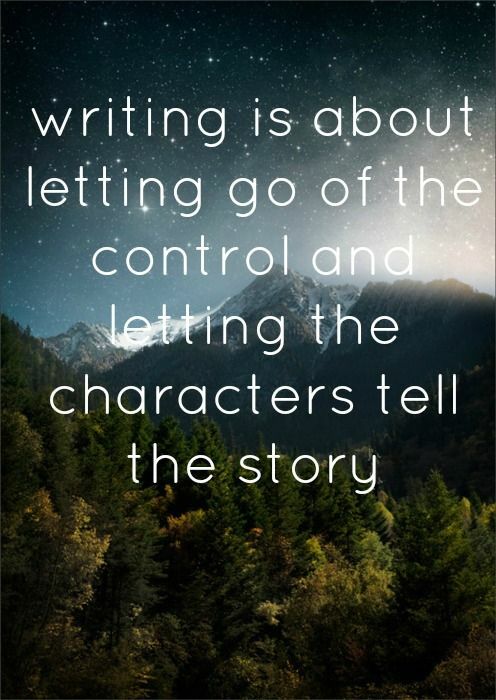 Once you've discovered all of your characters' stories, only then than you let go of the control you hold over them and they will be able to tell their own story. In conclusion, I'll let Nora Roberts have the last word.